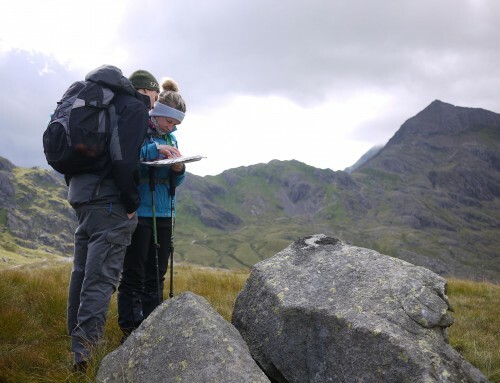 A one day advanced navigation course concentrating on contour interpretation for people wanting to develop their skills for navigating in the mountains in all weathers. This course is suitable for people who have previous experience with a map and compass and want to progress their skills further. As a guideline people should be happy with taking and following a bearing, pacing, timing, simple contour interpretation and be looking to progress onto the next level. This course is ideal preparation for people undertaking the Summer or Winter ML, IML and MIA awards, Mountain Rescue Team members and for people who aim to navigate at a high level in all weathers. We will refresh the key skills of mountain navigation and ensure you have a working structure to your navigation. We will then focus on contour interpretation and utilise contour only mapping (maps that only display contour lines and no other information) to help get your head around contours and map to ground visualisation skills and navigating like a jedi! 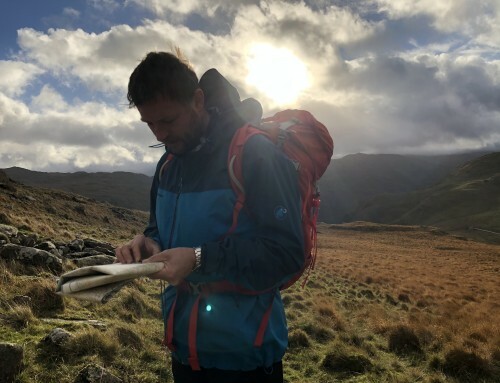 My courses are based on many years of practical experience in the mountains as a walker, mountaineer, climber and member of the Llanberis Mountain Rescue team. I use a map and compass in all weathers, day and night most days of the year around the world. Having gone all the way through the UK qualification system I have been assessed to the highest level and have spent a great deal of time looking at the skills involved in teaching what can be a complex subject. I also really enjoy the freedom of being able to navigate in the mountains and it gives me a great deal of pleasure to pass that freedom on. My courses are progressive, relaxed and will equip you with the skills that you need to be self sufficent in the mountains, whatever the visibility! We run the course in Snowdonia. We have the right to roam in Snowdonia and so are not restricted to staying on footpaths and this helps develop our map to ground reading skills. I run the majority of courses myself. I hold the MIC and IML qualifications and have many years of practical experience of working with a wide range of clients. I am also assisted by other local Mountaineering Instructors who are good friends of mine so that you get a balanced view and some different opinions. My practical experience on the Llanberis Mountain Rescue Team also adds an additional element to the course. You can read more about my qualifications and experience here. Once you book we will send you a comprehensive set of course notes and a letter of confirmation, this will include a detailed kit list and details of where and when we meet. The day normally starts at 9:30am in Capel Curig and finishes in the same place at about 4:00pm. Thanks for the weekend of Navigation & Hill Skills. I learnt so much during the two days and it was all in the good company of other like minded people. The success of the weekend was in most part down to our instructor Huw. His relaxed and friendly style combined with his knowledge ensured that we were onto a winner. I look forward to doing further courses with you in the future.